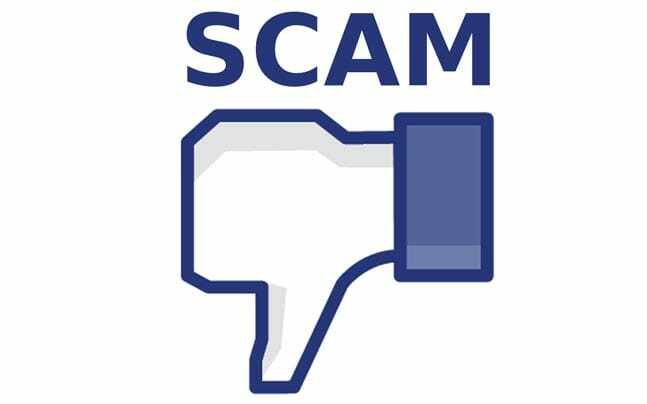 Facebook is one of the biggest and best-known social network, meaning it is bound to attract scammers, and unscrupulous people trying to nose into your life, steal your privacy and obtain personal details (bank accounts, passwords), which are then used for identity theft. 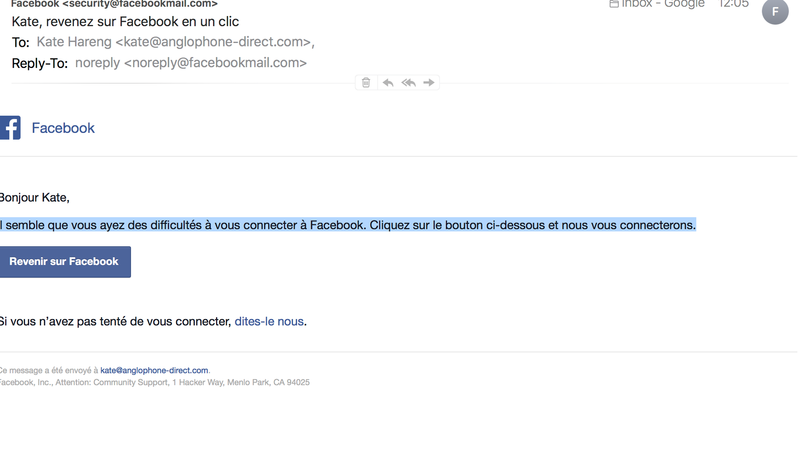 In a scam doing the rounds in France, many people are receiving an authentic looking email asking them if they are having difficulty connecting to their Facebook Account. This type of scam is called phishing. It lures you to a webpage with a fake Facebook log-in page or malware that installs a keylogger, a malicious program that can search for usernames and passwords on your computer. The scammer can gain control of your account, and is then able to contact your friends and attempt to scam them too. Many of you will have received at some time an email from a close friend who is ‘stuck in Hawaii at the airport with no passport or money so please could you send her 500 dollars by Western Union’…..etc). If you receive an email like this, DELETE, DELETE, DELETE. If a link takes you to a page other than the one specified, or takes an abnormally long time to open, close the window immediately. It could mean that the link address is being bounced between proxy servers to hide the scammer’s location. DO NOT TRANSFER MONEY FOR ANYTHING PARTICULARLY WHERE YOU HAVE BEEN TAKEN TO A NEW PAGE VIA FACEBOOK. NEVER SHARE PERSONAL DETAILS UNLESS THE SOURCE IS TRUSTED AND THE PROCESS IS SECURE. DO NOT GIVE ACCESS TO YOUR FRIEND LIST, PARTICULARLY IF REQUESTED BY AN APP. Anybody can sound friendly, interested, honest on Facebook. In fact, we can be anyone we want to be if we know how. Use common sense and alway err on the cautious side. Mieux vaut prévenir que guérir!